I love good news in the morning and that’s why the opportunity to purchase the Moto G direct from Motorola’s website well before January has us smiling. Our very own Seth Weintraub was able to successfully purchase the device and receive a shipping order for two days. It’s a great surprise from Motorola, especially when the company originally indicated the US would be a part of “Wave 2” and ship sometime after Christmas. 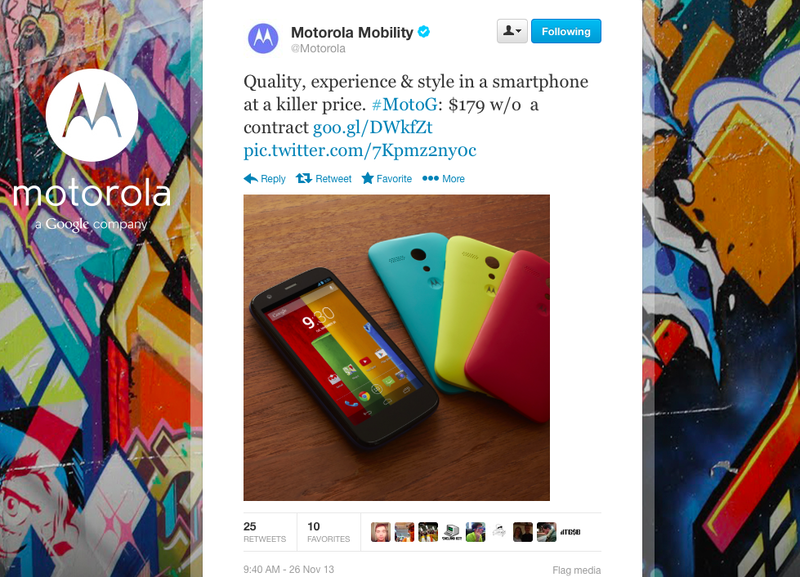 Motorola is certainly on a roll especially in light of their early delivery of KitKat for all four national Moto X carriers. With the Moto G coming in at $179 for the 8GB and 16GB at $199 and KitKat promised to arrive on board, there is little reason to pass up this device unless you absolutely need a flagship device. So what’s special about the Moto G anyway? We’re giving people plenty of mobile goodness to gobble up this holiday season. 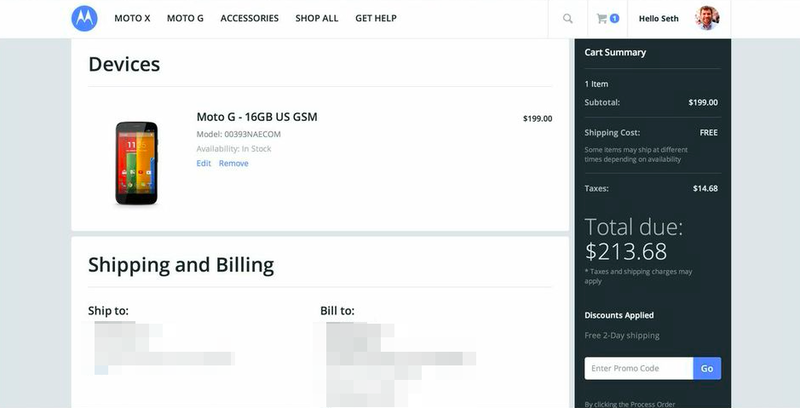 Starting today, people in the US can purchase Moto G (GSM version) on Motorola.com with no contract, no SIM lock and an unlockable bootloader for USD$179 with 8GB of storage or USD$199 for 16GB. Moto G (GSM) is available starting today in the US. Moto G (CDMA) will be available in the US in January through carriers as previously announced. See our website for more details and contact your carrier for compatibility.